Our state-of-the-art neurodiagnostic lab is used to conduct diagnostic tests on patients believed to have neurological conditions. EEG – An electroencephalogram (EEG) records electrical activity in the brain via small electrodes affixed to the skin of the scalp. This test can be done two ways: routine and sleep-deprived. Common conditions that warrant an EEG include altered mental status, syncope (fainting), seizure, and stroke. Nerve Conduction Studies – Nerve conduction studies (NCS) test the health of the nerve. The NCS is performed by placing three electrodes over different nerves and applying a mild brief electrical shock. NCS is used for the evaluation of numbness, tingling, burning, and/or weakness in the arms or legs. EMG – An electromyogram (EMG) is a test performed by one of our board certified physicians that evaluates the health of the muscle and nerve. The EMG is typically performed after nerve conduction testing. During the test, a small needle is inserted into the muscle tissue to evaluate muscle activity at rest and when contracted. An EMG is used to look for any neuromuscular abnormalities. Common conditions that warrant a NCS/EMG testing include muscle disorders, nerve disorders, diabetic neuropathy, carpal tunnel syndrome, or radiculopathy (nerve root disorder or disease). Neurodiagnostic testing at WCH are performed by registered technologists and board certified physicians. All tests require a physician’s order. Patients scheduled for outpatient neurology testing should report to WCH main campus Diagnostic Services center on the first floor, using central elevators. 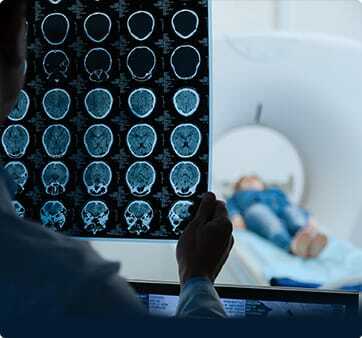 For more information about our neurodiagnostic testing services at Wooster Community Hospital in Wooster, Ohio, call (330) 263-8100.